Meet Alexis! 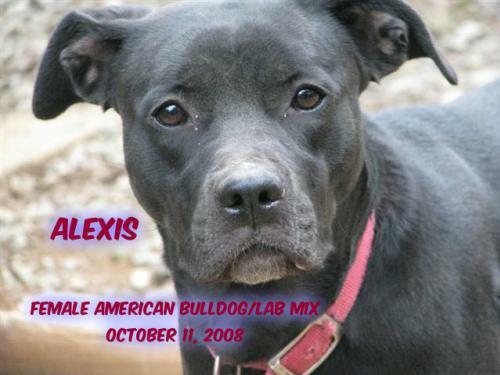 She's an AAMR Super Star!Alexis has been in rescue far too long ... most of her sweet life ... and we don't understand why! 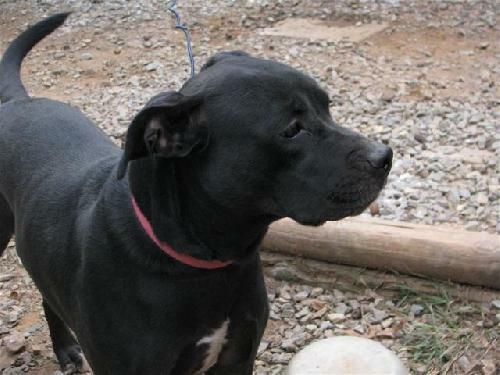 She is a great girl, so here are a few things you need to know about her:Approximate age/birthdate: born 10/11/2008Weight/size: 65 lbsHousebroken: YesCrate trained: Yes but she will destroy a crate if left in it too long at a timePersonality: friendly, loves to play, submissive with peopleEnergy level: medium (except when she's sunbathing)Fenced yard required: YES ... she really loves to get outside and she needs to be safeLeash walk: yes - she is strong and will pull if you allow itObedience training: knows sit, is treat-motivated and will come when calledRiding in vehicles: rides ok - should be crated or seat-belted while riding because she likes to roam around in the car ... and try to get in your lapSpayed/neutered: YESUp-to-date on routine vaccinations: YESMicrochipped: NO (but a microchip can be provided at adoption) Social with other dogs: YES but she can be selective about her furry friendsSocial with cats: Barks at the cats - has not had an opportunity to get very close to themGood with children: Will be fine with older/larger children. 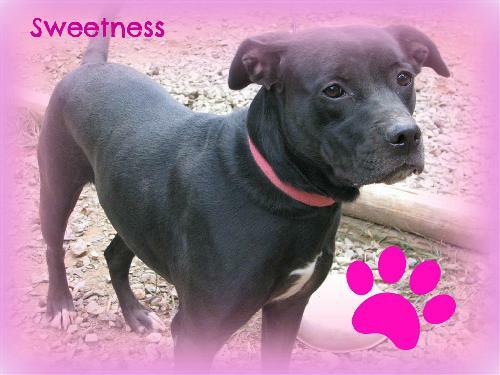 Size and energy are not a good fit for babies/toddlers.Alexis is a beautiful, sweet, energetic girl who needs a strong pack leader in her life. She wants to be a good girl, but her size and energy sometimes get in her way. She is very sweet ... she just doesn't realize how large and wiggly she is. She has the signature lab happiness and wags her entire body instead of just her tail. 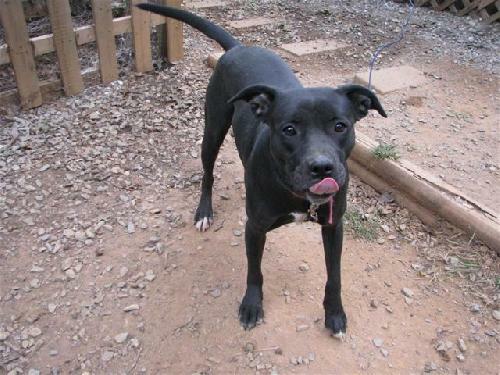 She LOVES people and just wants a family of her very own where someone will love her unconditionally and treat her like a member of the family! She really wants to be included in all family activities!Adoption donation: senior adoption $75If you think Alexis might be the perfect pup for you, please go to www.allamericanmuttrescue.org, click on Forms/Application and complete your dog adoption application online. We are an all-volunteer group, so please be patient and understand that it takes an average of 7-14 days to process the applications including reference checks, follow-up questions and home visits. You can expedite the process by providing accurate email addresses for all your references. Time to make phone calls is limited and we often have 10 or more applications in process. We make every effort to move through them as quickly as possible. When your application is approved, we will schedule a home visit and meet-and-greet to see if Alexis picks you too. If it seems that the adoption will be a good match for all, there is an adoption fee, and an adoption contract to be signed. Please feel free to email weluvpups@hotmail.com if you have additional questions.